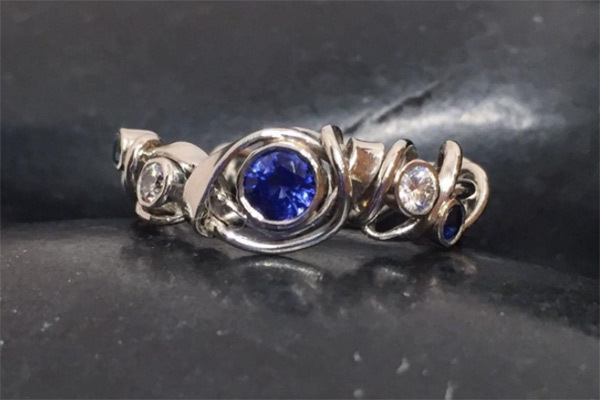 Vine platinum, sapphire and diamond ring. Call for price. Prices may vary dependent on market fluctuations in the cost of materials. Please call the store for prices. All diamonds are from non-conflict areas. Certification available.